Before you click out of this Victory Call because of the topic, please let me encourage you to read on just a little bit longer… yes, its undertone is about our political climate. I have to be candid here – I’m pretty disappointed by how many people belonging to the body of Christ have been presenting themselves through this season. I’m shocked by the hate, anger, and unkindness I see from everyone – believers and nonbelievers alike. People have this mentality of “if you don’t agree with me, you’re an enemy.” I have seen my dear brothers and sisters in Christ treating others like garbage because of this election… insulting people’s personality, character, education, political beliefs, even looks. I think I speak for most people here when I say… can we just hit the pause button please? I get it. It’s a discouraging season in our nation. But here’s the thing – God is sovereign over all. We have to remember He is truly the One in power. Recently, I went to see an AMAZING live broadcast in theaters called “Revive Us” hosted by Kirk Cameron. 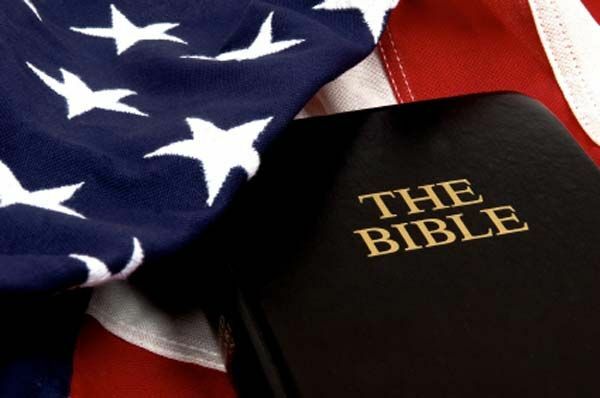 It was basically about where we are as a country and how we, as Christians, can do our part to lead others to Christ and follow Him in this dark time. Tens of thousands of strangers across the nation were gathered together to learn and pray. It was so encouraging, especially seeing people stand together in worship as if we knew each other for years. The broadcast brought up 2 Chronicles 7:14. This is a verse that believers love to quote in this season… so why do we not really see change in our nation? I want to challenge myself over the next few Victory Calls to dig deep into this verse and dissect it. Today’s focus is on the first part: “If MY people, who are called by MY name…” I hear a lot of believers say, “God is not healing our land because we took prayer out of schools, we had Supreme Court rulings that are ungodly, etc.” I think these things are awful, and I agree that a lack of faith is severely hurting our country. But when I read this verse, what I gather from it is this: God knows the world will try to push Him away and His Word tells us that people will become more wicked across the globe as time goes on. However, the Lord is concerned with how HIS people – the body of Christ – respond and live. In this particular verse, WE are the ones who God is calling to humble ourselves, pray, seek His face, and turn from our wicked ways. While we should continuously try to lead others to Christ, we can’t expect that nonbelievers will live righteously if they don’t have a right relationship with Him. We, as the light of the world, should definitely agree with God’s law and tell people when they’re living in sin. But we have to remember that while the Lord is concerned with how sinners are living – so concerned He died for them – He is also concerned with how we are living. Our relationship with Him should be a healthy one. So while we can point at others and tell them how unrighteous they are, we have to remember that we aren’t perfect and we also have a constant battle of the flesh – the only good in us is Christ living in us. We have to be sure that our relationship with Christ is a strong one with humility, prayer, daily reading, and repentance. Those are my thoughts for part 1… “If MY people who are called by MY name.” We can point fingers at nonbelievers and say they are the reason our country is in such a dark season, and I do agree it’s because many people have a lack of faith. But this verse is saying that if HIS people do right and are living a life that is pleasing to Him, He will heal our land… I think that’s pretty encouraging. Erin Culleny serves as a Marketing Assistant and Staff Writer. She loves encouraging women through her Victory Calls and finds such joy in praying for her sisters in Christ. She is so excited that after 5 years on Summer Staff, she now has the opportunity to serve at Keswick year-round. Her favorite activities include reading her Bible, encouraging others with scripture, buying new dresses, and eating at the Cheesecake Factory… In that order! Jess and I went to the Kirk Cameron “Revive Us” out here in Oklahoma tonight. We are out here on a mission project and heard about it. It was outstanding !! I wish it would be out longer and allow more people to see it. It was so great to be worshipping with people all over the nation.